Hyderabad/New Delhi: The Tata group plans to grow tea in Ethiopia and is working towards setting up an automobile assembly plant in Mozambique as it seeks to expand business interests in Africa. 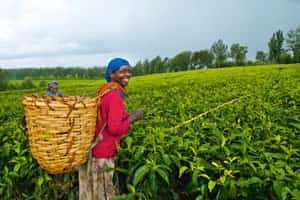 The group, owner of the Tetley tea brand, has approached Ethiopian authorities with a proposal to venture into tea farming in the landlocked country, said Esayas Kebede, director of Ethiopia’s agriculture and rural development ministry. Mint reported on 19 October that state-owned trading firm MMTC Ltd, Indian Farmers Fertiliser Cooperative Ltd (Iffco) and Bharti Enterprises plan to join the list of Indian companies engaged in commercial farming in Africa. Bilateral trade between India and Africa rose from $25 billion (around ₹ 1.2 trillion) in 2006-07 to $53.3 billion in 2010-11 as both exports to and imports from the continent swelled, according to a report prepared by the Export-Import Bank of India for the lobby group Federation of Indian Chambers of Commerce and Industry. In Ethiopia, around 70% of 40,000 hectares allocated for contract farming has gone to Indian companies, said Kebede. Tata Africa Holdings (SA) Pty Ltd has a presence in 10 countries of the continent in sectors as varied as information technology, communications, automobiles, steel, hospitality, consumer products and chemicals. “It makes sense for the company to expand in the continent as nations are increasingly creating opportunities to cut down customs and excise on imported goods," said Sugan Palanee, senior regional leader and auto expert (South Africa), Ernst and Young, who is based in South Africa. The Tata group is working towards setting up an automobile assembly plant in Mozambiqu, said Celio Nhachungue, deputy national director of the international relations directorate in Mozambique’s industry and trade ministry. Mozambique has a population of 20 million but doesn’t have a domestic automobile manufacturing sector. ‘We want investments in Mozambique," Nhachungue said Two persons aware of the development said the Tata group is in the process of setting up multiple assembly facilities in Africa and is in active talks with the Mozambique government. Neither wanted to be named. With Mozambique being a part of Southern African Development Community (SADC), Nhachungue says that a presence in the country would provide the Tatas with a base to export vehicles to other member-countries such as Angola, Botswana, Democratic Republic of Congo, Lesotho, Madagascar, Malawi, Mauritius, Mozambique, Namibia, Seychelles, South Africa, Swaziland, Tanzania, Zambia and Zimbabwe. “The company wants to exploit the Mozambique market as there is hardly any competition there," said an executive with a component maker associated with Tata Motors Ltd. The company will initially assemble automobiles imported as completely knocked down (CKD) kits but will slowly switch to using local content, the executive said. An email query sent to Raman Dhawan, managing director, Tata Africa Holdings (SA) Pty Ltd, on Sunday and questions posted on Tata groups’ website pertaining to Tata Global Beverages and Tata Motors remained unanswered until press time. A Tata Motors spokesperson said he wasn’t aware of the development, but added that talks may have taken place between Tata Africa Holdings and the Mozambique government. Mint reported on 8 January 2010 that Tata Motors planned to launch its small car Nano in Africa. Tata Motors has a presence in the continent through Tata Automobile Corp. SA in Africa, where it sells trucks and buses.